Get a load of this! Can you help Hans find the lost dog? 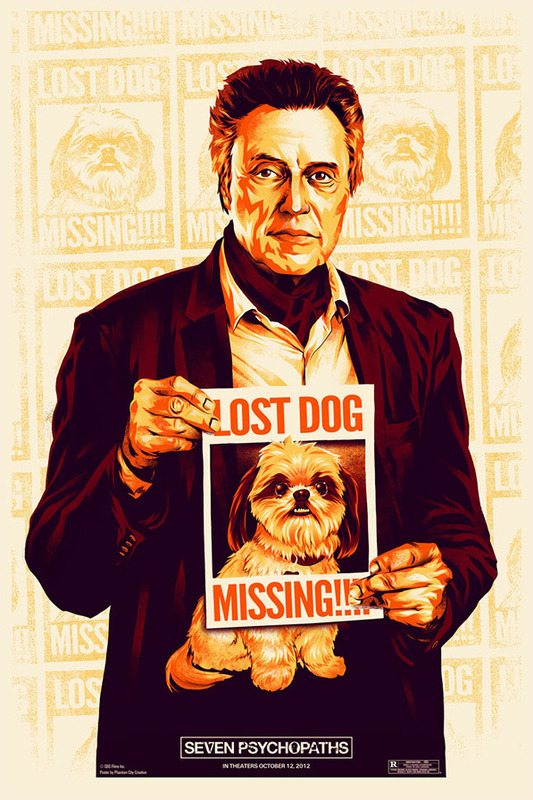 We're excited to exclusively premiere the special Christopher Walken poster for Martin McDonagh's Seven Psychopaths, as part of a new series of 7 character posters for the film, highlighting the seven psychopaths in it. This is all part of a bigger contest, because while there are six posters being revealed today across a few websites (ours included), the 7th and final image is open to fans to design with images of themselves. 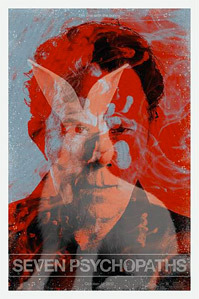 The excellent art we have is for Christopher Walken, who plays Hans, partner in crime with Sam Rockwell in the film. See the full-size artwork below. The design contest asks fans to cast themselves as a character in the film and create the 7th and final poster. 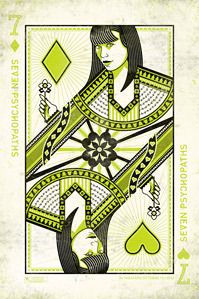 To participate, all original artwork should be uploaded to the Seven Psychopaths Facebook page. Good luck! 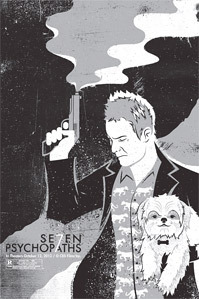 Martin McDonagh (In Bruges) wrote and directed Seven Psychopaths which reunites him with actor Colin Farrell who plays a screenwriter struggling for inspiration for his script, which just so happens to be called Seven Psychopaths, who gets drawn into the dog kidnapping schemes of his oddball friends (played by Sam Rockwell & Christopher Walken). 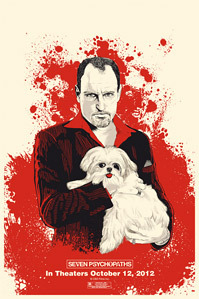 But things take a turn for the worse when a gangster's (Woody Harrelson) mutt goes missing. 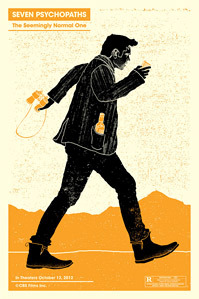 CBS Films will release Seven Psychopaths in theaters on October 12th next weekend.